Putting up residential spaces for lease is considered to be a wise investment. It is a means of passive income that does not require a lot of your time and energy. However, the cost of maintaining a rental unit may become a liability if proper management and care is not met. Finding the perfect tenant should be your number one priority after you have decided to put your space up for lease. But finding the right tenant might be more of a challenge than you think. 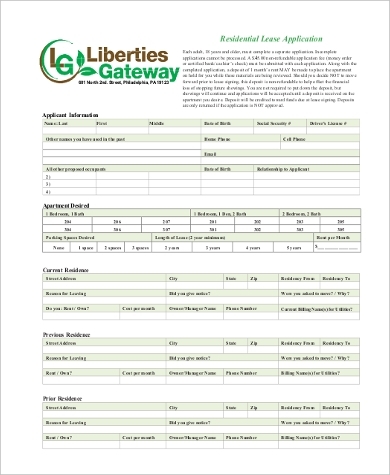 Our sample Application Forms will help you get the job done in just a jiffy. 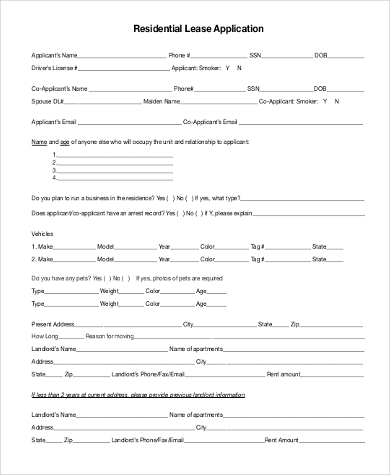 A Residential Lease Application Form is a form that a potential tenant fills out when he applies for a leased residential space. A residential unit is any space that is used for dwelling – be it an apartment, a condo, or a house. 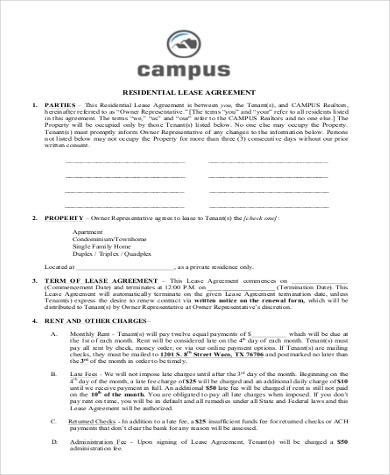 Once a landlord has decided to accept a tenant, a Lease Agreement Form is then whipped up to set certain terms and conditions. 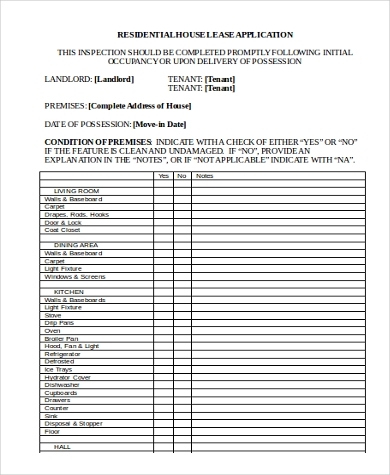 Think of Residential Lease Application Forms as a landlord’s checklist to finding Mr. Right. A Lease Application requires a potential tenant to provide personal details such as his complete name, age, current address, phone number, name of employer, and references. 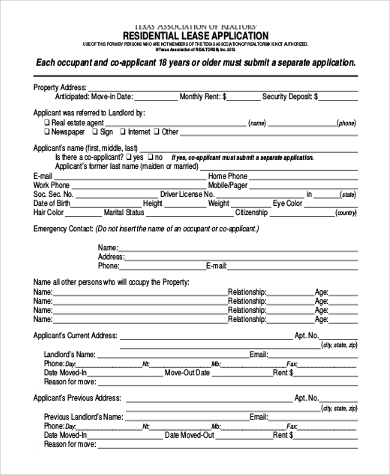 By using an Application Form, a landlord is able to properly scrutinize a candidate’s ability to pay his dues and abide to the house rules stipulated. 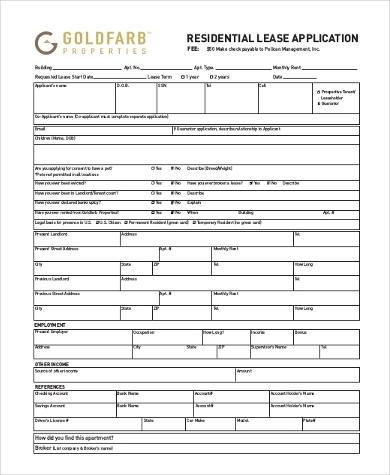 Typically, a Lease Application Form contains the complete name, contact information, ID details, and references of your potential tenant. 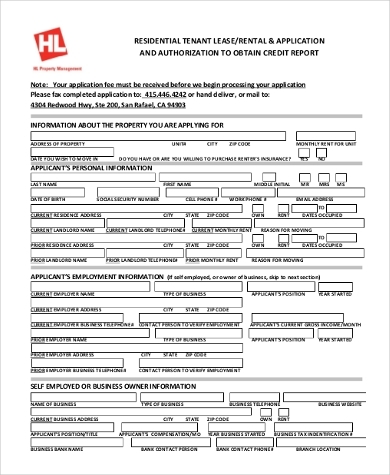 The state gives you, the landlord, the right to do a credit check on your applicants and call on the references provided to verify their authenticity. The Privacy Act of 1993 gives landlords the right to fully access information about a tenant related to his tenancy. However, as with every privilege, there is an equivalent sense of responsibility and obligation. Information being provided by an applicant has to be used only within the purposes of gathering necessary details for his tenancy, such as to check on a renter’s capacity to pay and to verify the authenticity of the information being supplied in his application form. 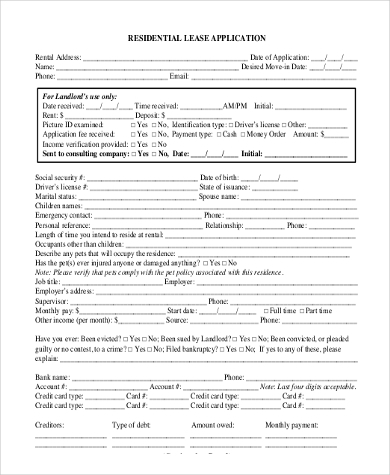 Utilizing a Lease Application Form is the best route to go if you want to easily profile your applicants and narrow them down. 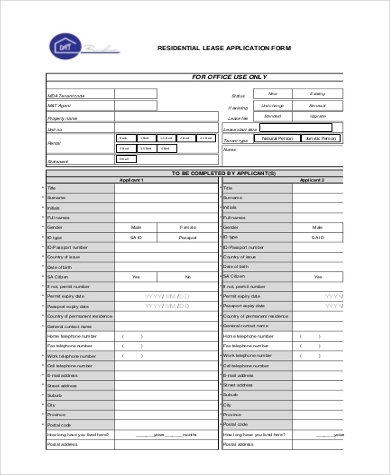 Lease Application Forms help you skim through the forms easily, making it easier to determine which candidate is best suited for the tenancy. 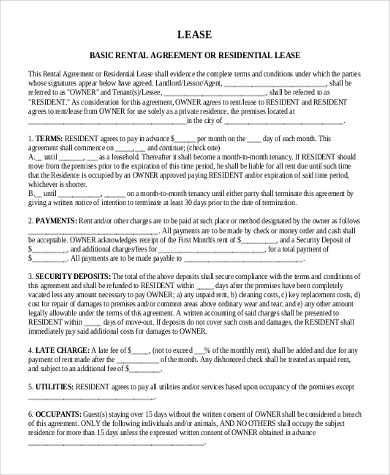 A hard copy of your renter’s Lease Application will also be a helpful point of reference in case of emergencies or when they decide to renew their contact. In such cases, tenants only need to fill out a Lease Renewal Form instead of having to fill out both forms. Rental properties, in whatever shape or size, are big investments and cost a lot of money. Protect yourself from tenants who are involved in illegal business or might cause damage to your property by making sure you only accept the right ones.